BEHIND NEIGHBORHOOD FENCES, down alleys and inside garages, Gulfport artists are creating in the rough. 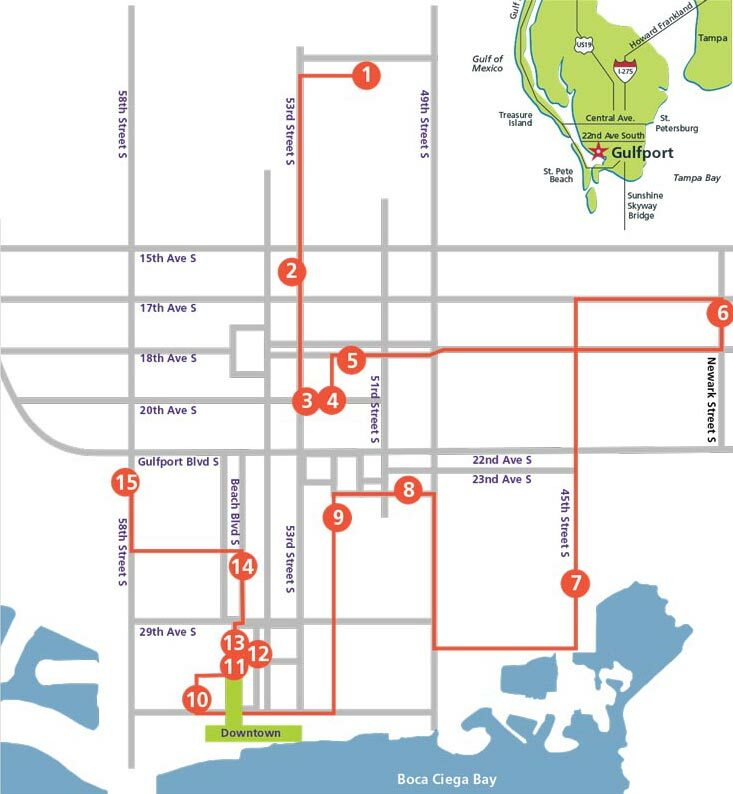 The working artists of this Florida gulf coast community often show at galleries and art venues around the state and across the nation but are rarely known at home. See the creative process 'in the rough' before it is cleansed by glass shelves and gallery walls. Once a year artists open their shops and galleries to the public to share where inspiration takes seed and the blossoming of creativity is formed. See the hot shop where glass is melted and vessels are made and the painting studios where drawings are transformed into art. Ray Domingo spent 40 years as an illustrator and graphic designer, earning international acclaim and numerous awards in his field. Ray's extensive client list includes Rolling Stone Magazine, People Magazine, and Anheuser Busch, to name a few. 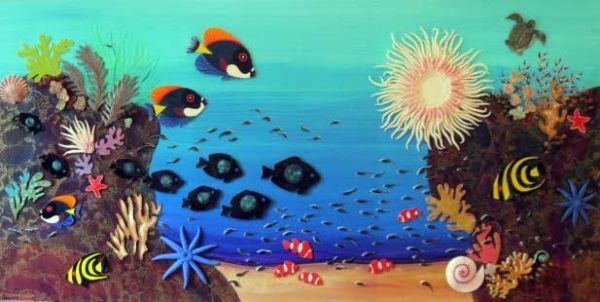 Today, Ray's large marine life paintings have him finding endless inspiration in the beautiful waters of Florida and the magnificent creatures that inhabit them. Other painters on the tour include pastel artist Nancy Poucher who captures stark, simple beauty on her canvasses. Jane Bunker's atmospheric & flower paintings are inspired by the likes of Degas, Seurat & Redon and Angus Mcauley is a contemporary painter who synthesizes impressionistic brush strokes with fabric on canvas. 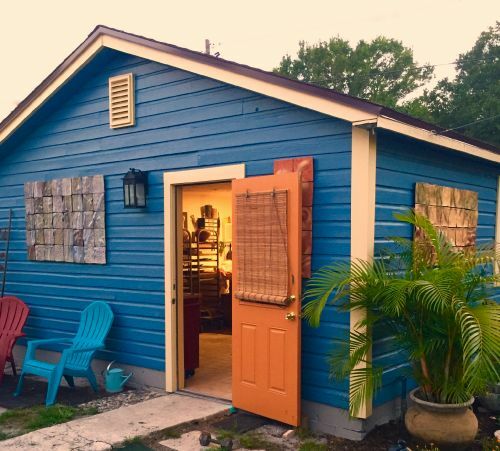 Brenda McMahon, a full-time ceramic artist for more than 23 years, explores texture, color, nuance and mood in her Gulfport ceramic studio. Her meditative vessels are collected in homes across the country and her dimensional wall murals are displayed in businesses & residences from east to west. After visiting Brenda's studio, head down the block to graphic designer Dorian Angello's atelier to see his explorations of tactile and digital media in his compositional works. Turn north on the same street and Sculptor and Eco-artist Crea Egan uses earth and nature as her expressive jumping off point. Don't miss mixed media artist Monika Watson and see how she uses clay in her colorful paintings. These are just some of the 17 artists on this year's tour.